something like "Open sans Extrabold", but it's quite clear the way it is..
> myself. You can find it attached. SVG version contains more. > The fonts are changed and the proportions between "Blender" and "Certfied"
> are looking a bit better in my opinion now. What do you think? 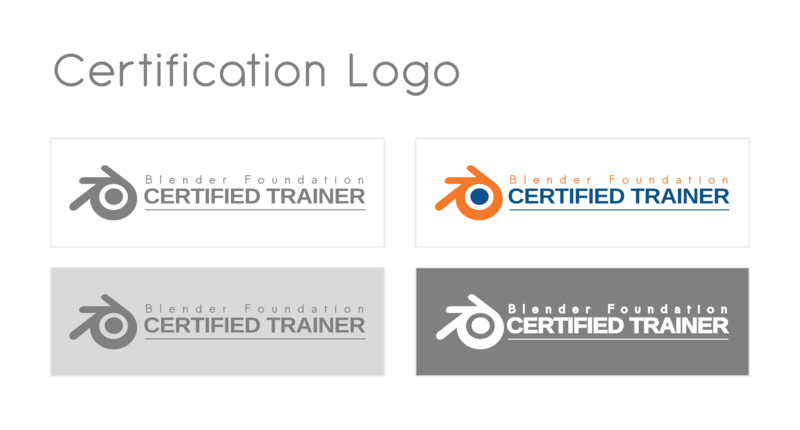 >> Sending you my version of logo for the Blender network group. >>> I've updated the concept and added the svg file with editable text now. >>>> what I suggested and see what you think. >>>>> not working for us. >>>>> am not sure on the logo, but the text I know was created in blender. >>>>> of a different font all together? >>>>> much more important than Blender Foundation. >>>>> > I couldn't edit the text in his svg - it's probably not a font. >>>>> Would aditia have time to check? >>>>> the official brand then." >>>>> see it the will know it has something to do with blender. >>>>> >> Do we have any clue now? >>>>> >> There's no doubt that the visual is great, I love the design. >>>>> stronger to use the official brand then. >>>>> >> > I'd love to see what others come up with!